Our engineering team has been busy this month! We’ve released several new features to enhance our already robust reporting capabilities. These new features give our clients more power to report on the exact parameters they need, have reports delivered directly to their inbox, and overall just make ContractWorks reporting even easier to use. You can find details about the new features below. The first of our new reporting features is one that our customers have been asking for- scheduled reports. With scheduled reports, you can take control of your reporting process and streamline it even further. How does it work? For reports that you run frequently or you anticipate needing on monthly, weekly, or whatever basis you choose, you can now schedule them ahead. - Save reports with specific metrics that you'd like to see and schedule your reports to be delivered to your inbox. 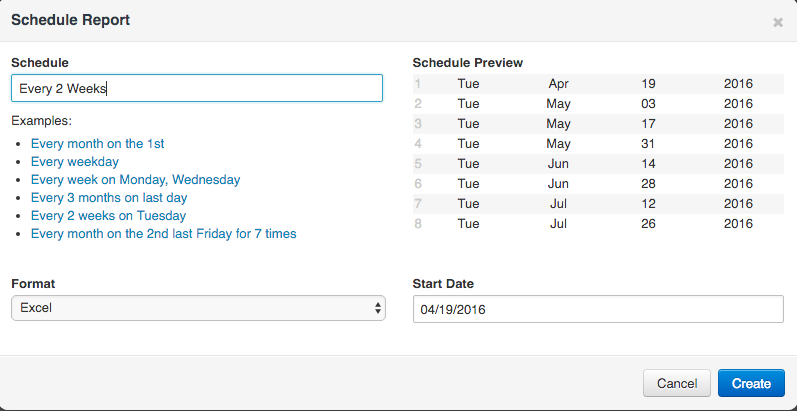 -The ability to customize the specific schedule your reports will be run on (see screen shot below). ContractWorks suggests a handful of common reporting schedules, but you can choose any time frame and interval you'd like. - Reports will be emailed to you at the specified time with a link to the report in ContractWorks. - A PDF or Excel version of the report will be attached to the report email, based on the preference you selected when scheduling the report. One of the features of ContractWorks that makes it unique are our customizable tag values. This allows our clients to customize their contracts with a custom ‘tag’ of absolutely any parameter they choose. Previously, tags were limited to a single value. Now, customers can assign multiple values to one tag. 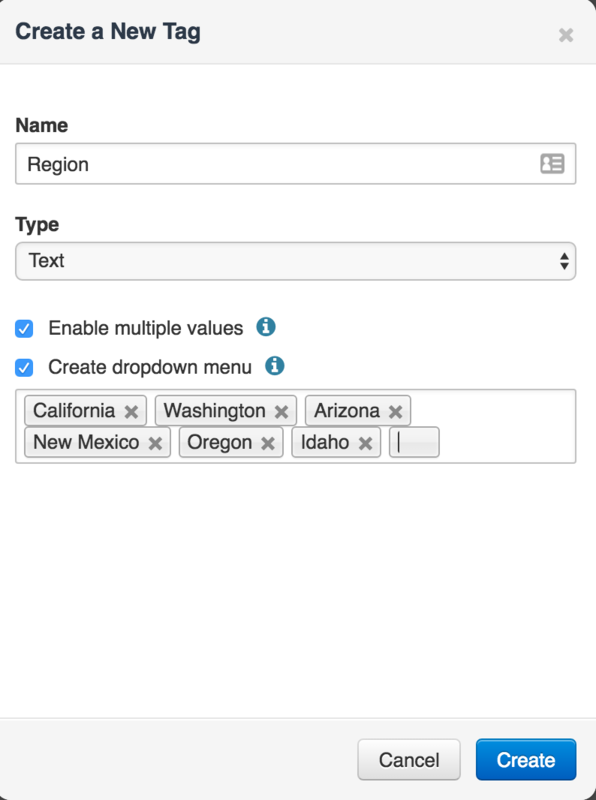 As an example, if a customer has a contract that is valid across multiple regions, like California and Oregon, they can now assign both of those values to one tag titled “Region” instead of creating multiple tags to express similar information. This not only saves time when entering and setting up contracts, but also streamlines reporting. You can now run one report and capture all the information in multiple tag values versus running several single tag value reports. Okay, this isn’t a feature, but it is an improvement to the ContractWorks reporting functionality. After launching the new features above, our engineering team refined the UI to make the new features intuitive, like the rest of the platform. We wanted to ensure that adding new features didn’t add unnecessary complexity to our user’s experience and that ContractWorks remains easy to use. Love our new features? Have an idea for another feature? We’d love to hear from you!